Technology that can access and analyze massive sets of employer data and make "intelligent" recommendations based on statistical probabilities has the potential to transform total rewards practices. HR compensation and benefits managers are beginning to tap the possibilities of this technology, according to speakers at WorldatWork's 2018 Total Rewards Conference, held recently near Dallas. "Analyzing data that most organizations already possess can reveal how rewards programs affect job-offer acceptances, turnover, engagement levels and productivity," said Juliette Meunier, a consultant with Ernst & Young. "You can test assumptions and identify areas for targeted changes, and then track how these changes affect outcomes." Problem: Pay hasn't kept up with the market, which drives people to competitors. Data to analyze: payroll, human resource information systems (HRIS), benefits enrollment and exit interviews. Solution: Make targeted pay adjustments for high performers with a high flight risk. Problem: Employee engagement is lagging. Data to analyze: engagement surveys, HRIS and benefits enrollment. Solution: Redesign internal web portals/communications to expand awareness of and enrollment in benefits that differentiate the organization from its competitors. Based on this type of analysis, Google expanded its maternity leave policy from 12 to 18 weeks and saw a decrease in turnover among female employees, Meunier noted. Technology is helping employers to adjust pay to current local conditions in real time, which can solve the problem of basing pay on data that has become out of date, said Elizabeth Blencoe, senior director of front-line compensation at T-Mobile, at the conference. "Call-center reps will go across the street for an extra 50 cents an hour" if pay doesn't reflect current market conditions, she noted. "Compensation is an arduous exercise in estimation, using data that is always old and industry and location cuts that are too broad," said Jeff Laliberte, who co-presented with Blencoe and is co-founder and CEO of PayFactors, a compensation technology firm. "Internal recruiters, hiring managers and candidates have different perspectives on what pay should be," and none of these assumptions may accurately reflect local labor markets right now. In contrast, "Uber, Airbnb and TaskRabbit let buyers and sellers agree on a common price in real time," and that is the future of job platforms, he said. "Survey-based data isn't going away, but now we're seeing real-time peer data validate survey results," which will better align pay decisions with labor market conditions, improving employee attraction and retention, Laliberte said. 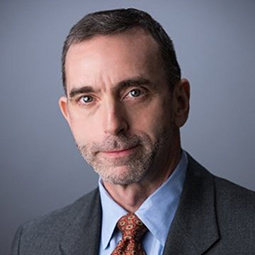 Chris Dobyns, a strategic consultant in the human resources office of the National Security Agency, also pointed to progress toward real-time labor market pricing using artificial intelligence (AI) systems to analyze pay data from crowdsourcing sites such as Glassdoor, and government-labor and salary-survey data. "When matched with a hiring organization's financial constraints and its goals and needs, the result is optimized pay structures," he said. As Google and Facebook have shown, AI systems are capable of "collecting and analyzing information on how we think and feel and, increasingly, [predicting] how we behave at work and at home," Dobyns said. Analyzing individual motivations can lead to customized delivery of pay and rewards and help to place employees in positions that best match their desires and abilities with the employer's needs. In the near future, AI will lead to "job descriptions that write themselves," Dobyns said, by collecting information from HRIS and HR time and labor systems that capture data on tasks and times. The software will be able to match this information against the nature of work needed, and then automatically update a company's job description repository. Customized pay and benefits tailored to individual employee needs are also on the horizon, said Angela Hubbe, HR program manager at the National Security Agency. Match an employee's family status, age, career stage, life preferences and aspirations with the organization's total rewards opportunities, to help workers select appropriate benefits and employers to refine their rewards offerings. Consider a worker's age, education, career stage, job, skills, work unit and location to customize rewards communications for content, style, language and delivery medium (text, e-mail, phone, chatbot, mail, handout, brochure or pictures). This level of customization, Dobyns said, "sounds daunting now, but very soon, with AI, it won't be."